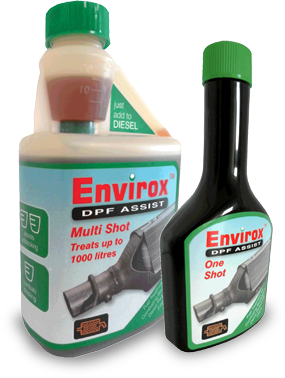 Welcome to Energenics Europe Ltd’s Envirox™ website. Energenics Europe Ltd. provides access to this site (the “Website”) and sells its products to you subject to the following terms and conditions. Please read these conditions carefully before using the Website. By using this Website you signify your agreement to be bound by these terms and conditions. 1.7 “Order Acknowledgement” means the e-mail sent to Buyer by Seller confirming the details of Buyer’s Order including details of the Goods (including, without limitation, quantities, prices, taxes and any other charges and an estimated delivery date). 2.1 These terms and conditions cover the sale of Goods to consumers and do not apply to customers buying Goods in the course of business. If you are a business customer please consult our business terms and conditions located here. 3.1 When Buyer places an Order via the Website Seller will send Buyer an e-mail confirming receipt of the Order and containing details of the Order. Buyer’s Order represents an offer to Seller to purchase Goods which is accepted when Seller sends Buyer an e-mail confirmation that the Goods have been dispatched to Buyer (the “Dispatch Confirmation E-mail”). That acceptance will be complete at the time Seller sends the Dispatch Confirmation E-mail to Buyer. Any Goods on the same Order which Seller has not confirmed have been dispatched in a Dispatch Confirmation E-mail do not form part of that contract. 4.1 When Buyer visits the Website or sends e-mails to Seller, Buyer is communicating with Seller electronically. Seller communicates with Buyer by e-mail or by posting notices on the Website. For contractual purposes, Buyer consents to receive communications from Seller electronically and Buyer agrees that all agreements, notices, disclosures and other communications provided by Seller satisfy any legal requirement that such communications be in writing. This condition does not affect Buyer’s statutory rights. 5.1 Seller reserves the right to make changes to the Website and these Conditions at any time. Buyer will be subject to the Conditions in force at the time that Buyer uses the Website or orders Goods from Seller. If any of these Conditions is deemed invalid, void, or for any reason unenforceable, that condition will be deemed severable and will not affect the validity and enforceability of any remaining Conditions. 6.1 Seller lists availability information for the Goods on the Website and Seller cannot be more specific about availability. Dispatch estimates in the Seller’s Dispatch Confirmation E-mail are just that and are not guaranteed dispatch times and should not be relied on by Buyer as such. As Seller processes the Order Seller will inform Buyer by e-mail if any Goods turn out to be unavailable. 6.2 All pricing information on the Website is correct at the time of going online. Seller reserves the right to change prices and alter or remove any special offers from time to time and as necessary. Buyer will be charged the price of the Goods applicable at the time Seller takes payment from the Buyer. 6.3 All prices on the Website include VAT. Seller’s VAT number is 945797363. 7.1 If Goods are being ordered from outside the United Kingdom import duties and taxes may be incurred once the Goods reach their destination. Seller is not responsible for these charges and Seller will make no calculations or estimates in this regard. If Buyer is buying the Goods internationally Buyer is advised to contact its local customs authorities for further details of costs and procedures. Buyer will be the importer of record and as such Buyer should ensure that its purchase is in compliance with the laws of the country into which the Goods are being imported. The Seller reserves the right to make additional charges for sales of Goods outside United Kingdom to cover export packaging, loading, unloading insurance or delivery where necessary, which charges shall be set out in the Dispatch Confirmation E-mail. 8.1 Risk and property in the Goods shall pass to Buyer at the time of delivery to the Buyer. 8.2 The Seller reserves the right to make delivery in instalments, the specific terms relating to deliveries of and payments for such instalments being set out in the Dispatch Confirmation E-mail. 8.3 Delay in delivery of or any other breach affecting any instalment shall not relieve Buyer of Buyer’s obligations to accept remaining deliveries and shall not entitle Buyer to treat the Contract as a whole as repudiated. 8.4 Seller will, (if it is reasonably satisfied that any Goods have not been delivered as a result of Seller’s fault) (in its sole discretion) either arrange for delivery as soon as reasonably possible or (where the Contract price has been paid) give a refund (at the pro rata Contract price) to Buyer for such Goods. 8.5 If Seller complies with its obligations in this clause 8 it will have no further liability (for direct or indirect loss or otherwise) in contract, tort or otherwise for delay in delivery or any shortages or non-delivery. 8.6 The Seller shall not be in breach of the Contract if the breach arises from any cause which is beyond Seller’s reasonable control. 9.1 Unless otherwise agreed in writing the payment terms set out in this clause 9 shall apply to the Contract. 9.2 The currency for payment shall be pounds sterling unless otherwise set out in the Dispatch Confirmation E-mail. 9.3 Buyer shall pay the total amount for the Goods and their delivery shown on the Website at the time of placing its Order using PayPal or such other payment agent as may be featured on the Website from time to time. 10.1 Seller aims to always provide high quality Goods that are fault free and undamaged. On occasion however, goods may need to be returned. Returns are governed by these Terms and Conditions. 10.2 If Buyer receives Goods which do not match those that Buyer ordered, unless accompanied by an explanatory note detailing the changes, stating reasons for the changes and setting out Buyer’s options, Buyer should contact Seller within 10 days to arrange collection and return. Seller is not responsible for paying shipment costs. Buyer will be given the option to have the Goods replaced with those ordered (if available) or to be refunded through the payment method used by Buyer when purchasing the Goods. Refunds and replacements will be issued upon Seller’s receipt of the returned Goods. 10.3 If any Goods Buyer has purchased have faults when they are delivered to Buyer, Buyer should contact Seller within 28 days to arrange collection and return. Seller is not responsible for paying shipment costs. Goods must be returned in their original condition with all packaging and documentation. Upon receipt of the returned Goods, the price of the Goods, as paid by Buyer, will be refunded to Buyer through the payment method used by Buyer when purchasing the Goods. 10.4 If any Goods develop faults within their warranty period, Buyer is entitled to a repair or replacement under the terms of that warranty. 10.5 If Goods are damaged in transit and the damage is apparent on delivery, Buyer should sign the delivery note to the effect that the goods have been damaged. In any event, Buyer should report such damage to Seller within 10 days and arrange collection and return. Seller is not responsible for paying shipment costs. Upon receipt of the returned Goods, the price of the Goods, as paid by Buyer, will be refunded to Buyer through the payment method used by Buyer when purchasing the Goods. 10.6 Buyer has statutory cancellations rights often referred to as a “cooling off” period. This period begins once Buyer’s Order is complete and ends 7 working days after the Goods have been delivered. If Buyer changes its mind about the goods within this period, please return them to Seller within 7 working days of receipt. Goods can only be returned for this reason if the product seal remains intact so that the Goods can be returned and re-sold. Buyer is responsible for paying shipment costs if Goods are returned for this reason. 10.7 If Buyer wishes to return Goods to Seller for any of the above reasons, please contact us at info@energenics.co.uk to make the appropriate arrangements. 10.8.2 Any characteristics of the Goods which may cause them to deteriorate or expire rapidly; Such discretion to be exercised only within the confines of the law. 12.1 Subject to the terms of this clause 12, Seller warrants to Buyer that on the date of delivery and for a period of 12 months thereafter, the Goods shall substantially conform in all material respects to the Seller’s technical specification available on Buyer’s request. 12.1 or any implied by law in the event that (i) Buyer is in breach of clause 12.2; or (ii) such liability results from fair, wear and tear, abnormal working conditions, wilful damage, negligence, alteration of the Goods not made by Seller, or incorporation of the Goods with other products other than as instructed by Seller. 12.4 To the maximum extent permitted by law, Seller accepts no liability for any direct or indirect loss or damage, foreseeable or otherwise, including any indirect, consequential, special or exemplary damages arising from the use of the Website or any information contained therein. Users should be aware that they use the Website and its content at their own risk. 12.5 Nothing in these Terms and Conditions excludes or restricts Seller’s liability for death or personal injury resulting from any negligence or fraud on the part of seller. 12.6 Nothing in these Terms and Conditions excludes or restricts Seller’s liability for any direct or indirect loss or damage arising out of the incorrect delivery of Goods or out of reliance on incorrect information included on the Website. 12.7 Whilst every effort has been made to ensure that these terms and conditions adhere strictly with the relevant provisions of the Unfair Contract Terms Act 1977, in the event that any of these terms are found to be unlawful, invalid or otherwise unenforceable, that term is to be deemed severed from these terms and conditions and shall not affect the validity and enforceability of the remaining terms and conditions. This term shall apply only within jurisdictions where a particular term is illegal. 13.1 All intellectual property and other proprietary rights in the Goods (including, without limitation, patents, know how, rights in inventions, copyrights, trademarks, service marks, trade and business names, design rights, designs, trade secrets and all confidential technical information (“Intellectual Property Rights”)) are the sole property of Seller and shall remain vested in Seller. 14.1 Seller does not sell Goods on this Website for purchase by children under 18 years of age. 15.1 Any reference in these Conditions to any statute or statutory provision shall (unless the context otherwise requires) be construed as a reference to that statute or statutory provision as may be amended, consolidated, modified, extended, re-enacted or replaced from time to time. 15.2 The Buyer agrees that it will have no remedy in respect of any untrue statement innocently or negligently made by or on behalf of Seller prior to the Contract upon which Buyer relied in entering into the Contract whether such statement was made orally or in writing. 16.1 The Contract will be governed by English law and the parties submit to the non-exclusive jurisdiction of the English courts.